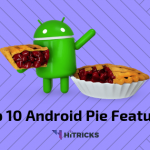 Android Pie was one the most anticipated Android versions in the history. With phones not getting drastic changes in the hardware department of things, it was time for the software side to become a major part of the game. We saw Google adding portrait mode without using a telephoto lens, making us believe how essential role software like AI and Machine Learning can play. To answer this, we made a comprehensive list of phones (and also included some of the upcoming ones) which will get the latest Android version. Check out the list below if your phone is getting it or not! After the unfortunate death of Nexus devices, Google Pixels are the only phones controlled entirely by Google on both the hardware and software side of things. Google promises the latest Android versions and supports up to three years of security updates to their Pixel devices and here’s every Pixel phone getting Android Pie. 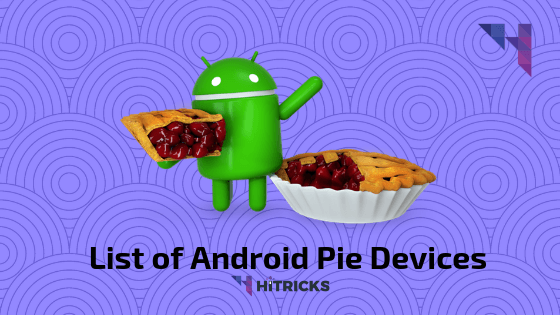 For the first time ever, many companies registered for the Android Beta program which enabled the particular devices to get Android Pie (Beta). Now that the official version’s here, these devices will also get the Android Pie! Samsung, being the world’s largest mobile phone manufacturer, also has to take care of whether or not its devices are getting the latest updates. Samsung usually used to lag behind when it came to Android updates but recently, this has changed. Even though Samsung doesn’t give its users a stock Android experience, these are the phones getting Android Pie with Samsung’s own touch. And probably the bunch of J and A series phones Samsung launched in 2018 with Android O.
LG’s journey has been a little rough in the past couple of years. Even though LG managed to make a couple of great phones like the V30 and the G7 ThinQ, these phones weren’t really successful across the globe. Still, LG phones are also getting Android Pie and here are those. OnePlus revolutionized the way flagship smartphones were sold. The company started offering high-end specs at a reasonably cheap price which made it perfect to strive in markets like India. Here are all the OnePlus phones getting Android Pie. Huawei’s latest devices have turned out to be a significant success for the company, defeating Apple and clinching the title of world’s second largest mobile phone maker. 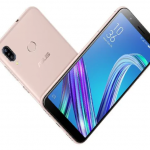 The company has manufactured some of the most impressive phones this year and also added features like GPU Turbo which excited the Mobile gamers around the world. Below is the list of Huawei / Honor phones getting Android Pie. Even though Asus was silent in the last decade, it suddenly rode up with some great offerings in the market. The Asus Zenfone is no longer just a laggy smartphone with a huge battery, but a great phone with an awesome battery life. Here are some of the already launched and upcoming Asus devices which will surely get Android Pie. With HMD Global taking the hold of Nokia’s Android devices, it has made some great phones this year as well. Nokia was always known for its awesome built quality and they’ve made sure that their phones have the best quality. Apart from hardware, they’ve kept the software quite simple, almost pure stock Android. And with that said, here’s every Nokia phone getting Android Pie. After Lenovo’s takeover, Motorola has been quite lenient when it came to updating to their phones. However, all the Moto phones announced after 2017 will be getting Android Pie. Here’s the list. Xiaomi is one of those manufacturers popular for supporting their smartphones for a long period. As usual, they have a good list of smartphones that are upgradable to Pie. But what’s worth mentioning that the Mi devices run on MIUI which is pretty different in both UI and the way it behaves, from the traditional Stock Android. So, the devices get MIUI updates for a longer period than the Android Version Upgrades. Some other phones getting Android Pie are as follows. So that was the list of all the major phones getting Android Pie in the near future. We’ll update this post as soon as we get more information about new devices. Did you find your device? That’s exciting. Let us know in the comments below. Even if you don’t find your device listed over here, don’t get upset. As reported by BGR on 1st October 2018, less than 0.1% of Android Users are on Pie. So, you are not alone in the woods. I strongly hope with the release of Project Treble, the devices get faster updates in the near future. Do share this post with your enthusiastic friends whose phones are listed here. Use the social share buttons below. That’s all for now. I will be back soon with another interesting update. Till then, stay tuned! Karthik is a BCA student who loves to write about science and technology. He also loves reading encyclopaedia when he's not writing. Some of the apps have stopped working for me. Could you please help me how to resolve the same ?? Well, it is due to the fact that apps need to configure themselves to be supported with Pie. Not all apps are supported as soon as Pie gets released. Kindly wait till the devs add support for the apps.